A man who admitted causing the death of a motorcyclist by careless driving has been jailed for a year. 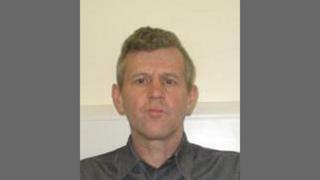 James Kiltie, 53, of Dumfries, committed the offence on the A711 near the town in April 2017. He caused Michael Cloy, 47, of Kirkton, to take evasive action which resulted in him colliding with a van. The court was told that Mr Cloy had been an experienced motorcyclist and his death had a "devastating effect" on his family. In addition to his jail term, Kiltie was banned from driving for two years. He had originally denied the charge but changed his plea to guilty after four days of evidence. Sheriff Brian Mohan described the case as a tragedy for many different people and in his view a custodial sentence was appropriate.